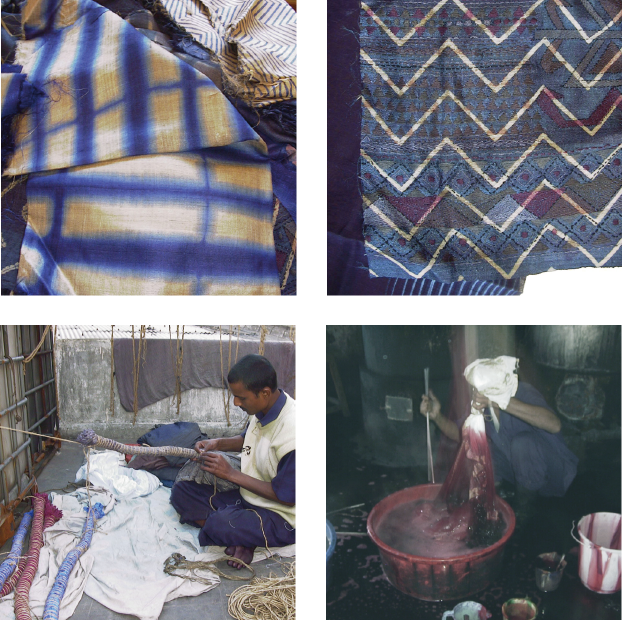 "Tied and dyed" is a set of ancient resist-dyeing techniques, and for the products of these processes. The process of tie-dye typically consists of folding, twisting, pleating, or crumpling fabric or a garment and binding with string or rubber bands, followed by application of dye(s). The manipulations of the fabric prior to application of dye are called resists, as they partially or completely prevent the applied dye from coloring the fabric. Batik is a method of dyeing in which patterned areas are covered with wax so they will not receive the colour. The method is used mainly on cottons and in the traditional colours of blue, brown, and red. Multicoloured and blended effects are obtained by repeating the dyeing process several times, with the initial pattern of wax boiled off and another design applied before redyeing. 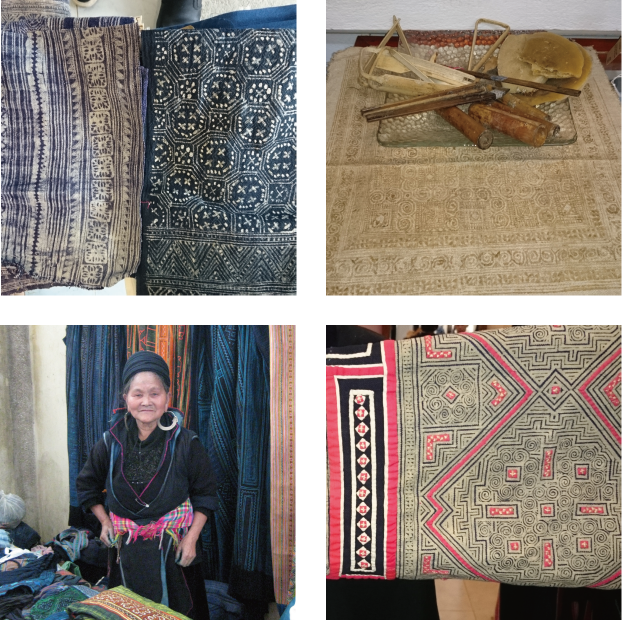 The basic technique, originated at an unknown time, was apparently practiced widely in Southeast Asia with local variations. 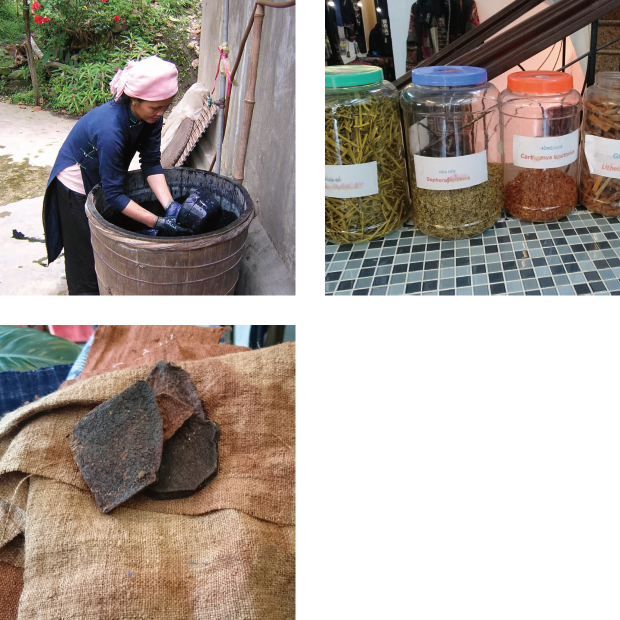 Vegetable dyes are dyes or colorants derived from plant sources—roots, berries, bark, leaves, and wood.